Every company and every industry has their own set of abbreviations that are used. Some companies have a long list of abbreviations and other companies have a shorter list. Learning that list is always a challenge when beginning a new job. It can be like learning a second language. This list of accounting abbreviation is a must for any accountant, but it is also beneficial for investors, employees interacting with the accounting department, and also business owners communicating with their accountant. 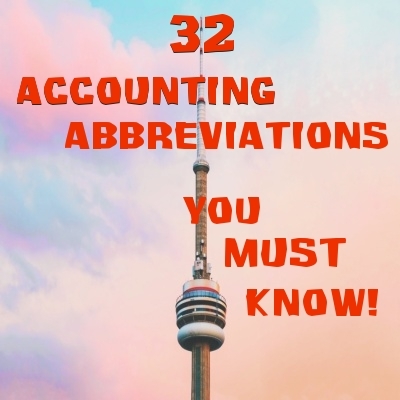 Accounting is considered the language of business and these 32 accounting abbreviations are a crash course to the accounting language.